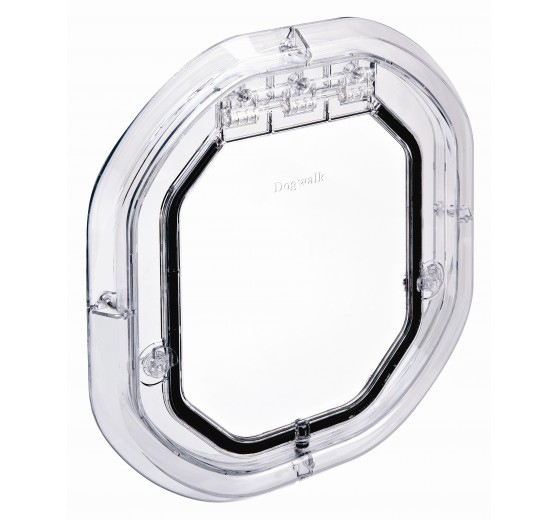 The Dogwalk® Glass Fitting Dog Door is manufactured from 100% high quality, high impact (PC) Polycarbonate. 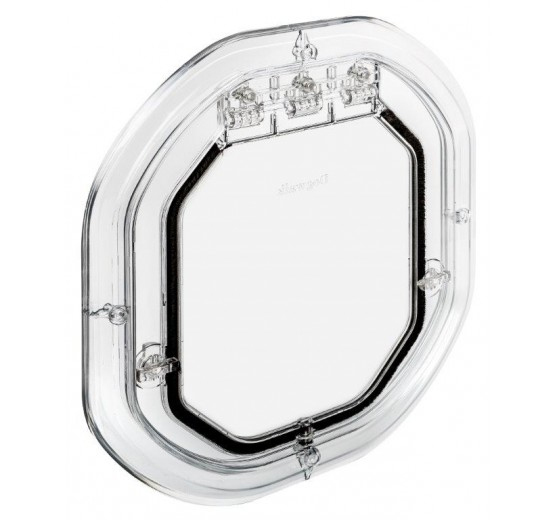 It is designed to fit single, double glazing and sliding windows and doors. 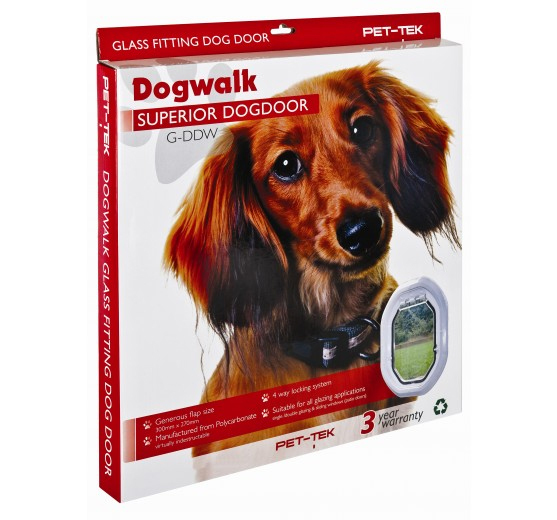 To reduce the problem of broken flaps, associated with some other brands of dog doors, it has the added feature of the flap being able to swing higher. This reduces the stress on both the flap and hinge. The generous flap size of (300mm (H) x 270mm (W) makes it suitible for medium to semi-large dogs. 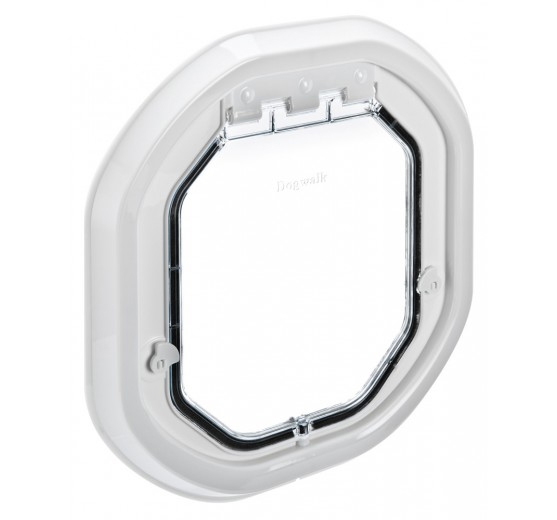 The dog door has 4 way locking and additional security clips for added security, the weather seal will reduce draughts and enable a smooth, quiet action. 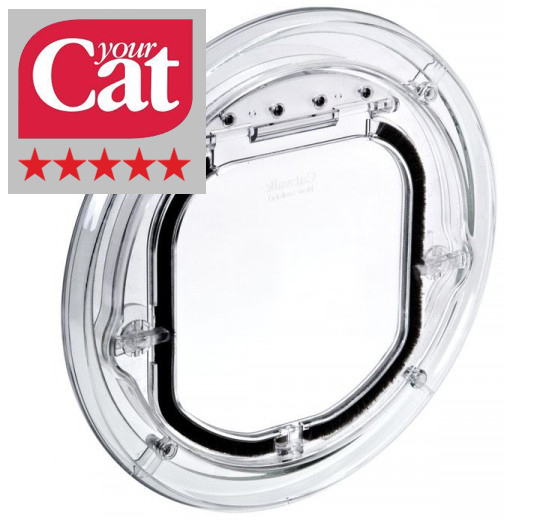 Please note: the pet door cannot be installed into an existing tempered glass or double glazed window. The glass panel would need to be replaced with the hole already cut at time of manufacture for the pet door to be installed.